Located 12.9 miles southwest of Idaho Springs is Georgetown. I would have loved to have photographed its wonderful Victorian buildings. Unfortunately, all parking is parallel and all spaces were full. The restored structures, full of shops and restaurants, just call you to visit and photograph. 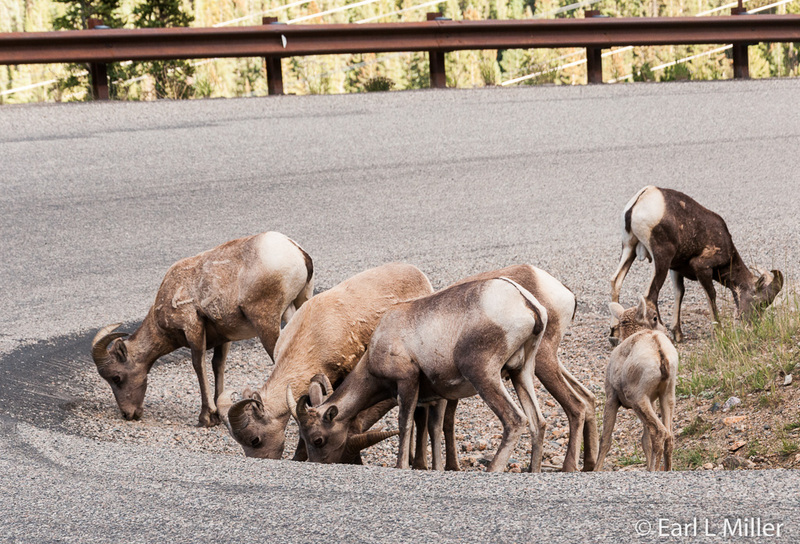 Sitting at an elevation of 8,530 feet, it had a population of 1,023 in 2012. Georgetown, a former silver mining camp, had its roots June 17, 1859 when the Griffith brothers, George and David, discovered gold. This gave the community its name. After the collapse of the gold mining area, miners discovered silver in 1864. By the end of 1866, it was Colorado’s fastest growing community. By October, 1871, Georgetown representatives met with Colorado Central Railroad officials to discuss how to transport the millions of dollars of ore mined in the region. The railroad first reached Blackhawk from Denver in 1877 thanks to financier, Jay Gould, who controlled the Union Pacific. He supplied the necessary funds to complete the route to Idaho Springs and Georgetown. Hopes were for the tracks to reach Leadville from Georgetown. But there were two problems: the narrowing of the valley west of Georgetown and an area where the average grade was over six percent. Gould’s engineer devised a system of curves and bridges, reducing the average grade to three percent. 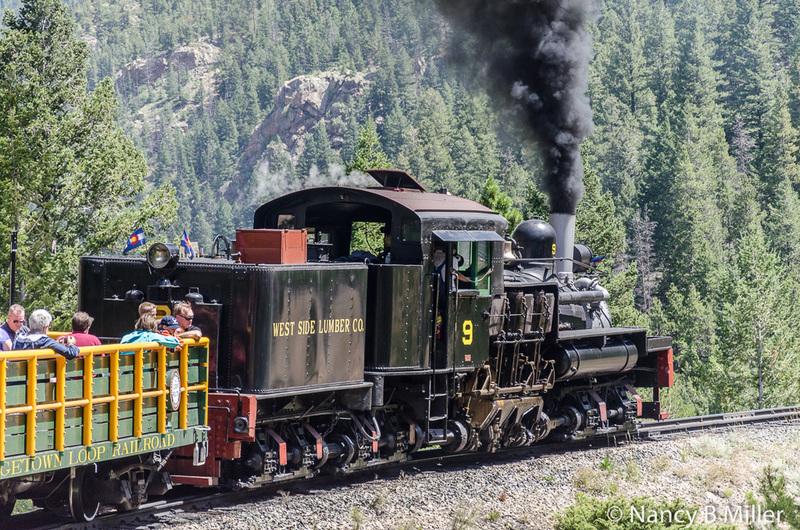 The plan consisted of three hairpin turns, four bridges, and a 30-degree horseshoe curve from Georgetown to Silver Plume. 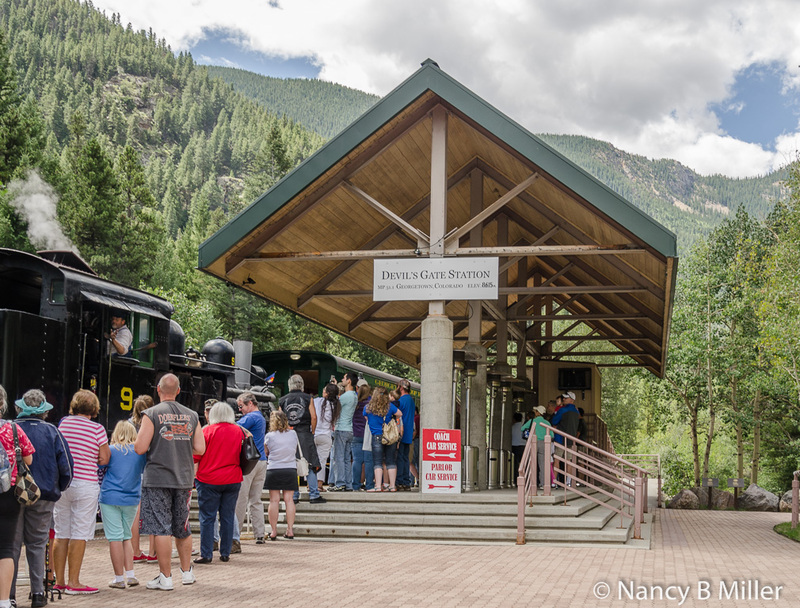 This route between Georgetown and Silver Plume became known as the Georgetown Loop. 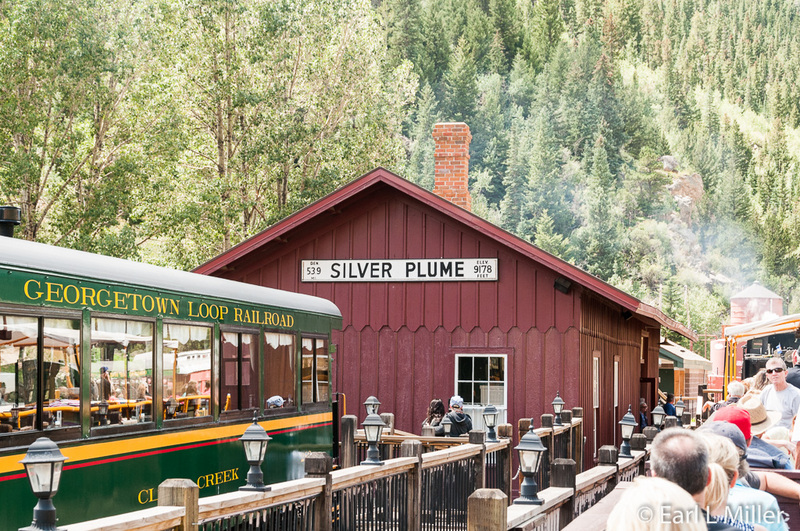 By 1884, the first trains arrived in Silver Plume. 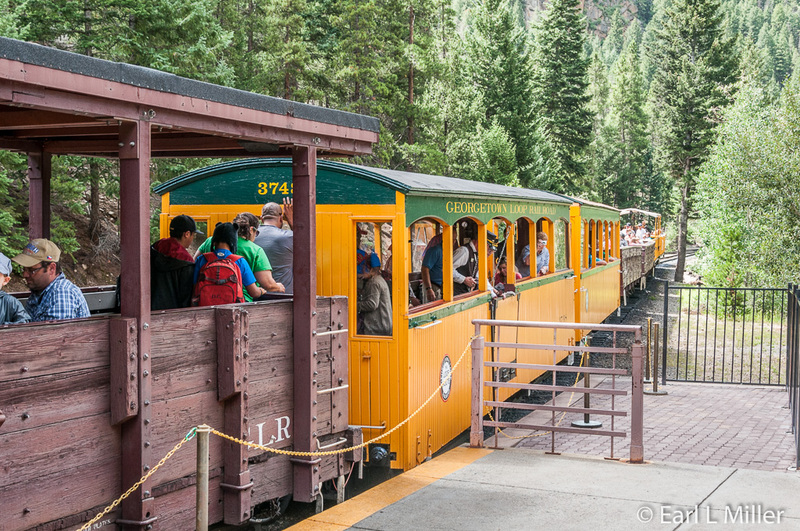 From the 1880s to 1918, Georgetown and the “Georgetown Loop” became a tourist center. Passengers could ride seven trains daily from Denver at a cost of only $3 per round trip. With automobile traffic, during the early 1900's, excursion train trip revenues fell dramatically. 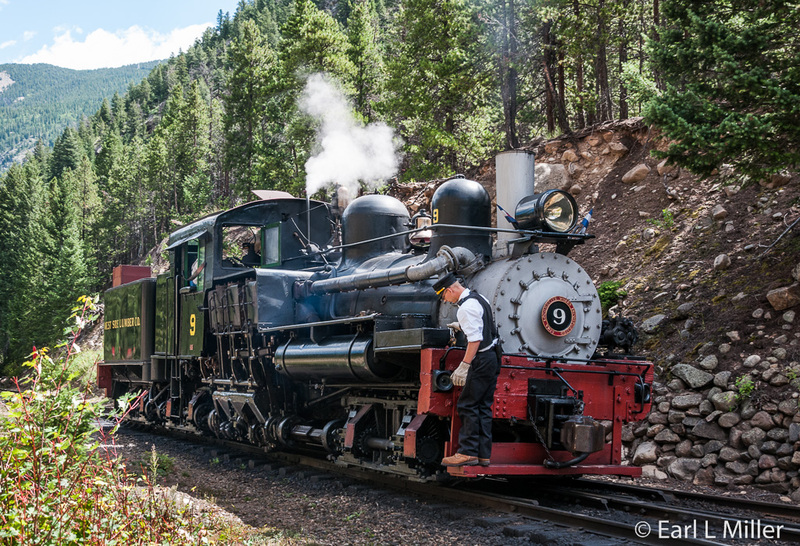 By 1938, the last of the trains ran from Denver to Silver Plume and the Georgetown Loop was dismantled. In 1959, Colorado Historical Society started a plan to reconstruct the Georgetown Loop’s entire length. Almost 100 acres of mining claims and mills were donated including the Lebanon-Everett mine. That same year, they had discovered the four mine buildings including a blacksmith shop. 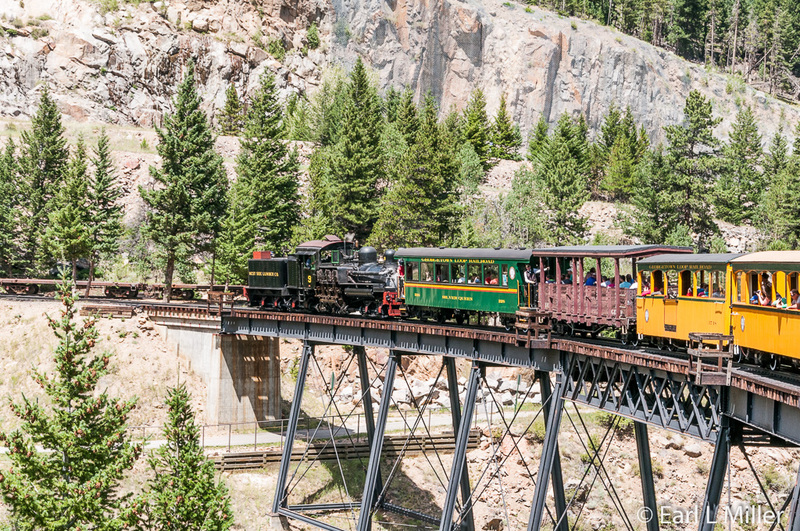 In 1973, the construction of the rail line began and in 1975, over a short span of track, the first season of the new Georgetown Loop operated. In 1978, the Lebanon Mine’s historic buildings opened to the public. 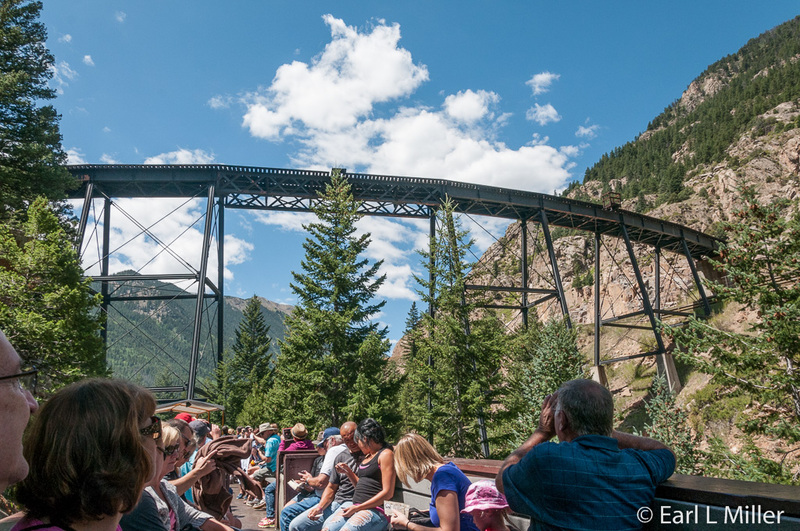 On August 1, 1984,Governor Richard D. Lamm dedicated the Devil’s Gate High Bridge marking the Georgetown Loop’s total reconstruction and opening the entire route to visitors. 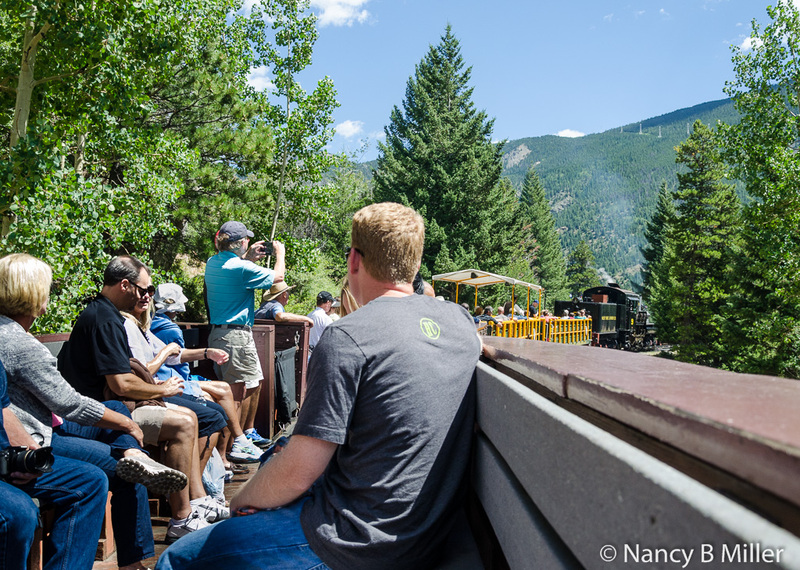 Consider taking a narrated ride on the Georgetown Loop Railroad over Clear Creek Valley. It’s a narrated, round trip, train ride, on a narrow gauge track. Running 3.1 miles each way, it climbs its way up the mountain from Georgetown’s Devil Gate Station to the historic community of Silver Plume. A highlight is when it circles over itself at the picturesque Devil’s Gate High Bridge. You have a choice of an open air car with benches, which we took, or first class, heated and enclosed, parlor cars that come with table seating and complimentary drinks and snacks. Rides can also be started at Silver Plume. At the summer peak, the railroad runs nine train trips a day. 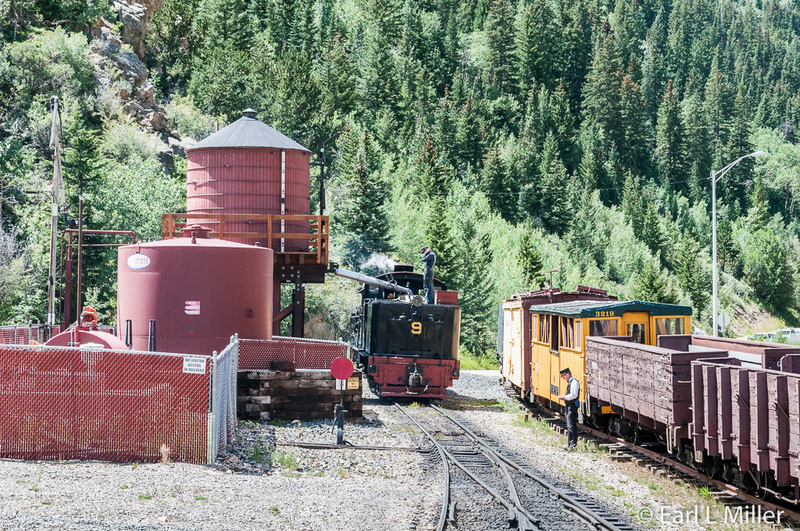 Stops, after your board at Devils Gate Station, are made at the Silver Plume Depot, Lebanon Mine, and the water tower before you return. The railroad offers tours of the Lebanon Mine, the only way to see it. Work started at the Lebanon Mine in 1869 . In 1881, miners discovered profitable veins, 1,100 feet from the portal. By 1885, it was one of only 50 mines in the Georgetown area still producing silver ore. Its tunnel had reached 1200 feet. Drastic silver price declines led to its closing at the end of the 1880's. The tour takes you 500 feet into a mine tunnel adding an hour and 15 minutes to your train trip, which is by itself an hour and 15 minutes. It includes visits to the manager’s office, the miners’ change room and the tool shed. The air is a constant 44 degrees so dress warmly. Mine tours are not available for those riding parlor cars. Admission is extra. It is not advised for young children, those with mobility problems, or those having health problems at 9,000 feet. Since we don’t walk distances at high elevations, we skipped it. 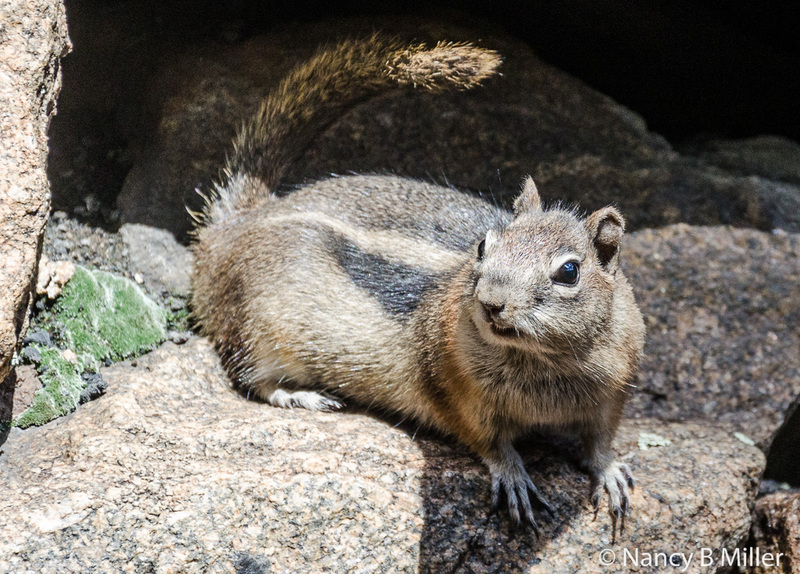 On our return to Devil’s Gate Station, I spotted a squirrel when the train stopped. It seemed to enjoy posing so people could take its photograph. Earl had moved on our return trip to the end car so he could take better photos. Unfortunately, he missed seeing this wildlife. The railroad runs special trains such as Oktoberfest trains, wine trains, Pumpkin Festival trains, and Holiday Lights Trains (Friday and Saturday evenings in late November and through December). Dinner trains are held most Fridays and Saturdays from June through October. During the summer, you’ll find steam-powered locomotives hauling the trains. The engine on our train, Engine 9, was a three truck Shay type locomotive built by Lima Locomotive Works in Lima, Ohio, in 1923. This 80-ton locomotive is one of the three largest narrow gauge Shays ever built. It originally operated on the West Side Lumber Company out of Tuolumne, California. In 1956, the Midwest Central Railroad in Mount Pleasant, Iowa obtained it. In February 2011, Shay 9 arrived in Silver Plume. Work was done on it for 15 months to make it operational, and it entered service July 2012. 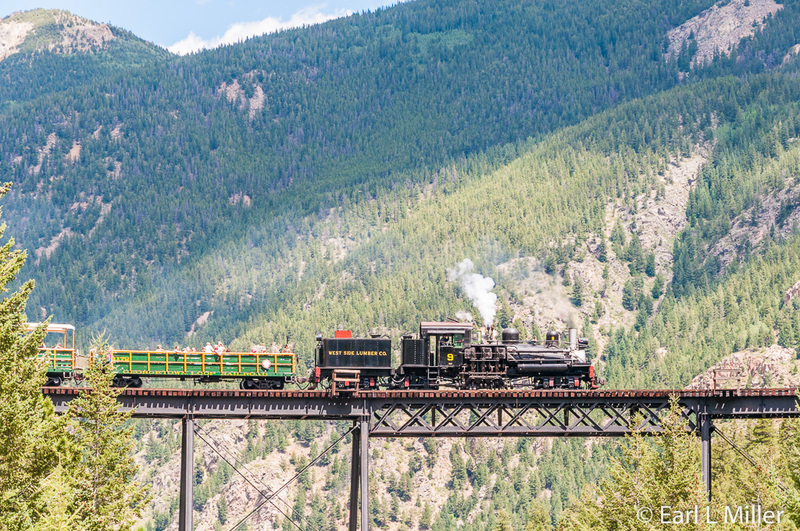 For information on rates and schedules, call reservations at: 888-456-6777 or visit their site at Georgetown Loop Railroad. 2014 rates for adults were $34.95 for parlor cars, $25.95 for coach cars, and $34.95 for coach/mine tours. For a perfect way to end your day, consider taking this byway from Georgetown to Grant located on Route 285. It follows an old wagon road between the two towns. Fourteen miles of the road are paved from Georgetown with the final ten miles, a well-traveled dirt road. They are working on converting the whole road to pavement. On the lower elevations, you wind through forests of spruce, fir, aspen, and pine. The road crests above timberline at 11,700 feet. At the summit, it provides excellent views of Mount Evans and Mount Bierstadt. 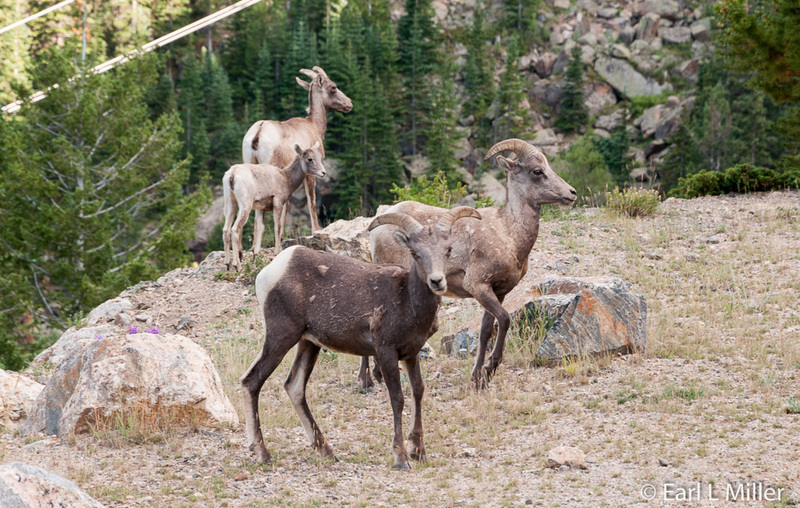 We spotted a deer, then six mountain goats with two babies, passed numerous tent campers, and several reservoirs. Sunflowers were in full bloom. Georgetown was called “The Silver Queen of Colorado” before the mining discoveries in Leadville led to that city receiving the name.